Ganesha reads into the intriguing and amazing phenomenon called Kolaveri Di. A slang word used to eve tease in Southern India gets woven into a song. With a foot tapping tune, and simple yet contemporary lyrics, the entire composition gets done in a Tamil Gaana style. The percussion beats of Dappan Koothu meet colloquial usages; the folk meets fusion and voil?, magic is created! The song 'Why this Kolaveri Di' becomes a rage overnight. The song receives innumerable internet searches much before its actual launch, gets translated into numerous languages in less than a fortnight, and suddenly a whole nation wakes up to a trivial yet catchy tune it can't get out of its head. Akin to the song, the media employed to popularise the song is very contemporary. The song was made viral in such a way that it became a phenomenon in an extremely short span of time. Being now considered as a super-marketing move by the music giant Sony, Kolaveri Di was posted on Tamil, Hindi and International Facebook pages ahead of its launch. In a matter of days, the song bagged the place of India's most-searched YouTube video ever, the first Tamil film song to play on MTV India and national radio stations. 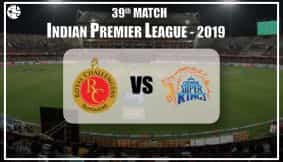 After being widely written in Indian and international press, and evoking the interest of premier management and marketing schools across the country, the song is still going strong. What is so special about this seemingly strange song from the upcoming Tamil movie '3'? What makes the initially incomprehensible lyrics so special in this song that one cannot stop humming them? Does Rajnikanth's son-in-law Dhanush carry the trademark fantastic luck as his hugely celebrated father-in-law? What did the social media specialists working in the background did that the viral caught on with such an inexplicable ferocity? Ganesha with the help of Vedic astrology sets down to read the natal charts of the two most important people associated with this song - the singer and the composer. Read ahead to know what magic the planets wove to create this phenomenon. Dhanush is born with retrograde Jupiter. When the song was digitally released, transiting Jupiter was retrograde. This indicates that present time is a very good time for Dhanush. In Anirudh's chart, Venus the prime significator of creativity is in Neech Bhang, because it is placed with exalted Mercury. This is also a classic example like Amitabh Bachchan's chart or Dev Anand's chart. Both the legendary personalities have the same combination in their natal charts. This indicates that Anirudh is a potent music director and Kolaveri Di is just the beginning. We can expect a lot more in the future from this prodigy child. In song's release time chart, Venus is in Trine with Moon. It is to be noted that Moon also contributes to the creativity in a great manner, for it governs imagination. Moon also governs lucidity, for it is the planet with a water element. Anything that requires smooth flow has to be in a movable sign. In this case, Moon, the ruler of the zodiac sign Cancer was in its own sign, and that's a movable sign. FMCG market too is ruled by Moon, and this in a way proves that Moon has got a mass appeal. In Solar System, job of the luminaries is to throw light on the matter. In this case, it got picked up immediately because of the Moon's position in Cancer and that too in the Ascendant. This is the reason that the song had the potential to become quite prominent in no time. Moon was in the Pushya Constellation, and ruler of the Pushya Constellation i.e. Saturn was exalted at the time of the release of the song. Water element is predominant in the release time chart of the song, so it went 'viral' with the flow on Social network websites. The comparison is quite obvious here. Rahu governs internet and entire virtual medium, as it governs Maaya. In Kolaveri Di's digital release chart, Rahu is in close proximity with the significator of communication and words i.e. Mercury and significator of arts i.e. Venus. Now, here is a wonderful observation. As Mercury is afflicted by Rahu, the lyrics are not very substantial. However, despite this the song caught on in an amazing manner. 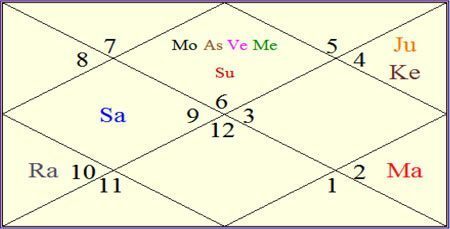 Transiting Moon was in applying aspect to Anirudh's Natally exalted Jupiter. Because Jupiter is a natural benefic, it benefited Anirudh a great deal. Dhanush's Saturn return contributes very little to the factor, as Saturn is the planet of longer term transit. For any artist, Venus return is very vital. Dhanush's Venus return happened on 29th August 2011. In his Venus return chart, Venus the prime significator of arts was placed in the 11th house of gains with Moon. This was to bring him in the limelight before next Venus return and it happened with Kolaveri Di. Anirudh's Venus return happened on 1st October 2011. 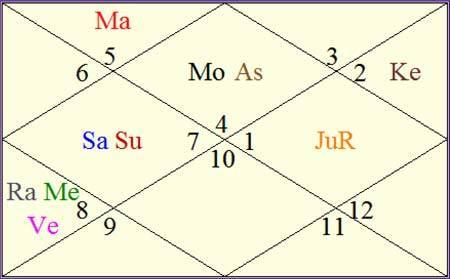 In his Venus return chart, Sun, Saturn, exalted Mercury and debilitated Venus - again in Neech Bhang Yoga just like his Natal chart - were posited in the 2nd house of finances. Obviously, Anirudh has started receiving offer from film producers to compose songs for their films. All in all, Ganesha feels that the planets and stars were very supportive to Anirudh and Dhanush. They, in conjunction with the entire effort, conspired to make the the song such a hit. Good luck and may Lord Ganesha bless the creators of the song with great success of their film '3'.